I love the story of Cinderella. 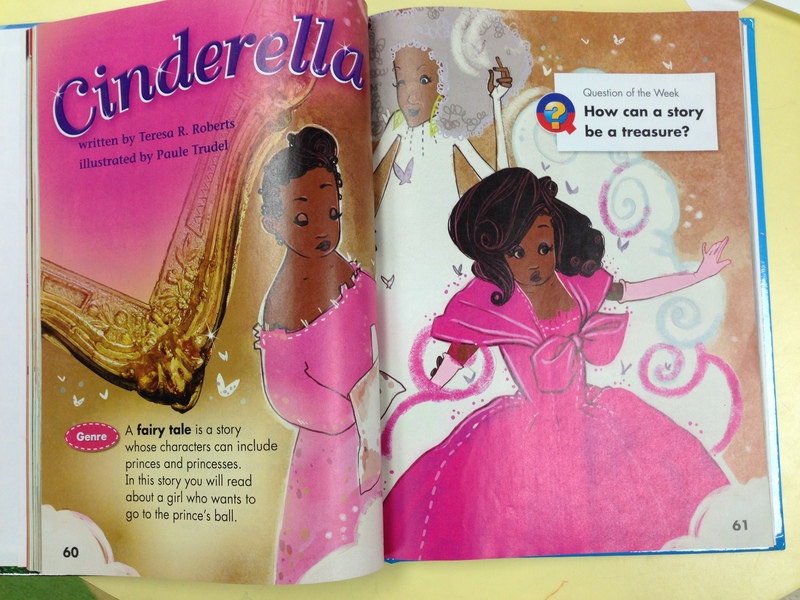 One of my favorite units to teach is multicultural Cinderella, using different versions of the story to help students learn about other cultures. 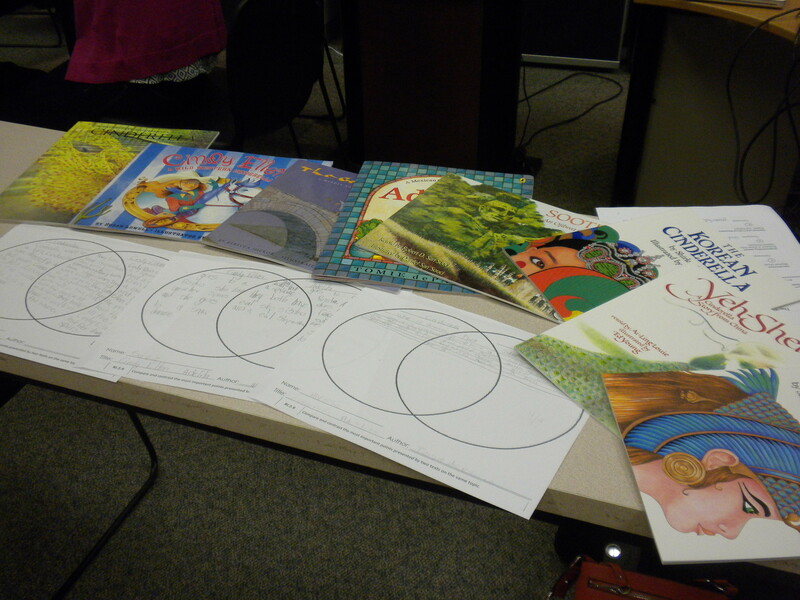 The students enjoy hearing the stories and identifying the differences, yet similar themes. They also are a great way to spark discussions about our own cultures, traditions, and celebrations. 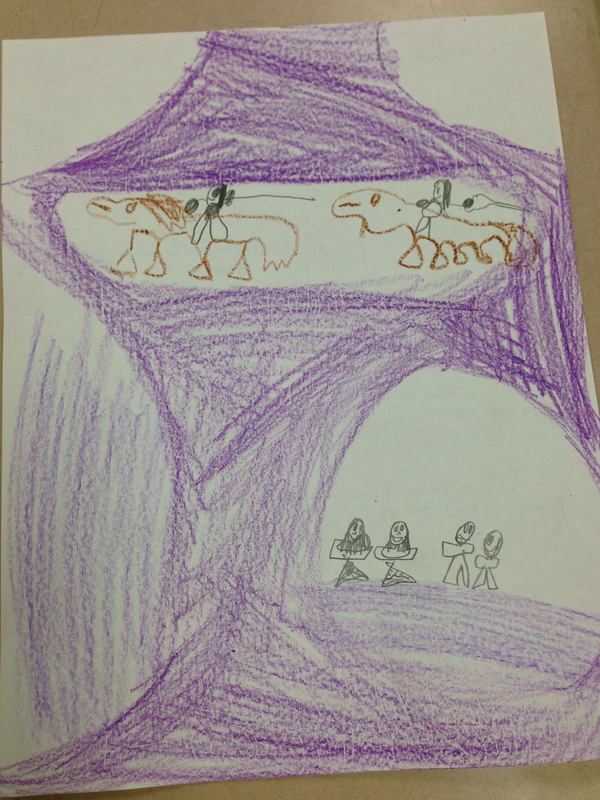 Last year in second grade, I did a mini Cinderella unit that paralleled our social studies unit about cultures. Students had the opportunity to share about a family tradition they celebrated. 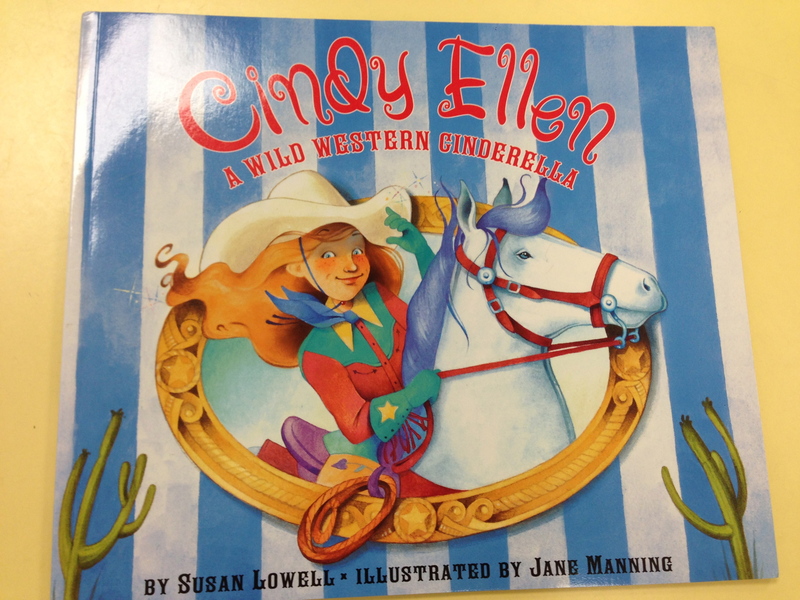 To practice the reading comprehension skill Compare and Contrast, I real aloud 4 versions of Cinderella-the original, Wild West, Spanish, and Middle Eastern. 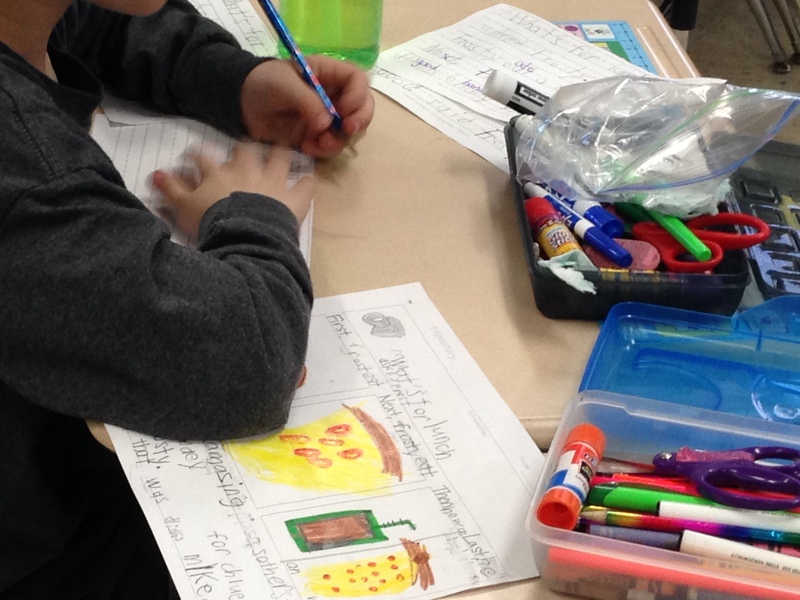 After each story, we discussed the main story elements and compared different versions. To end the unit, students worked in partners to complete a venn diagram; they chose which 2 stories to compare and contrast. 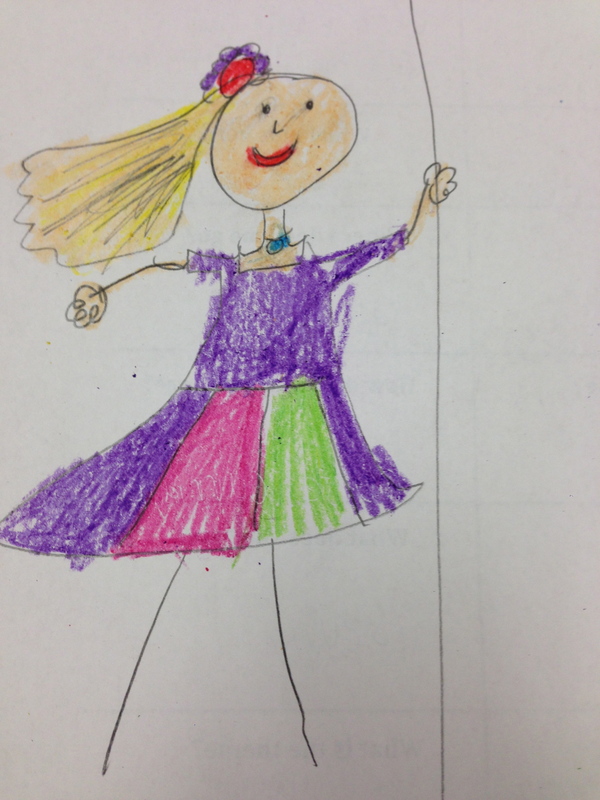 Students loved the stories and noticing the differences, especially with the fairy godmother, where the party was held, and what Cinderella lost. This year, one of the stories in the first grade reader is Cinderella, and I immediately asked if I could teach a lesson. 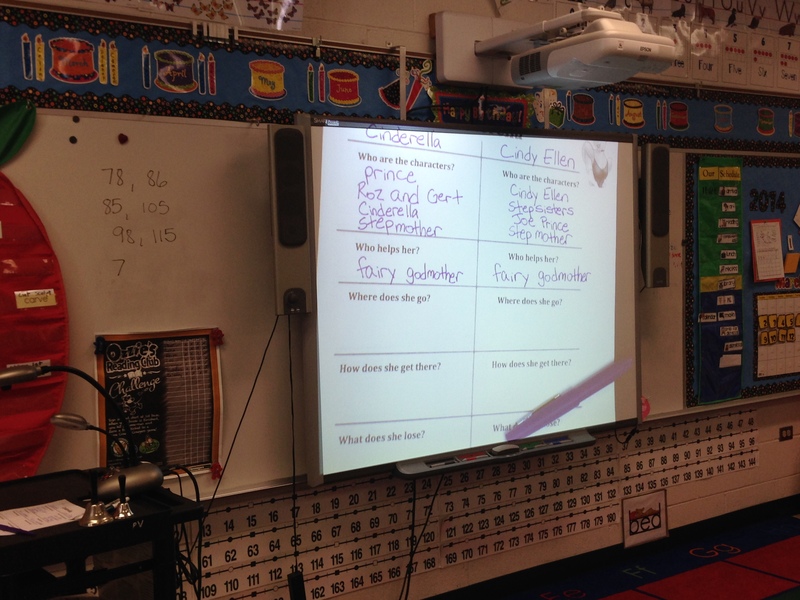 I had to figure out how to modify the compare and contrast activity for my first graders’ level. I decided to use one story, and read others throughout the week; we completed a T-chart I created together to compare and contrast. 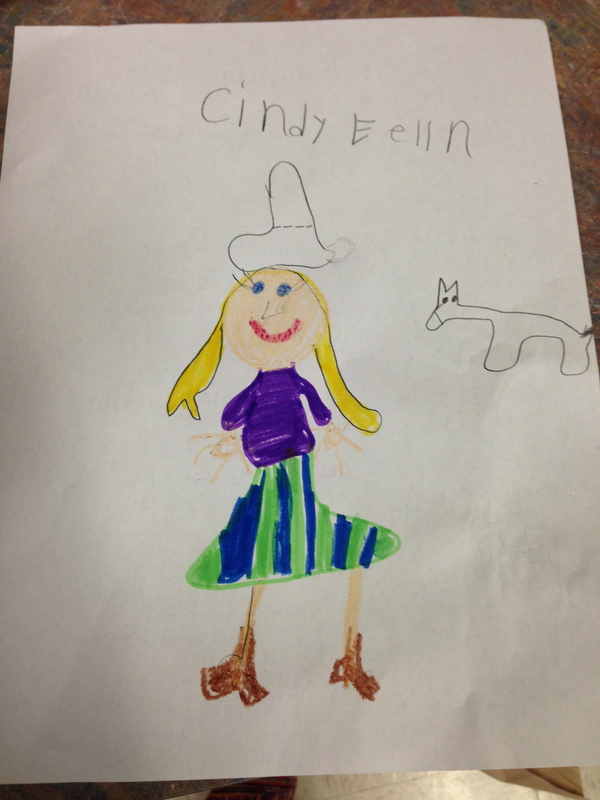 The story I chose was Cindy Ellen because it had clear differences; this ended up being a good choice as well because it engaged all students, especially the boys who weren’t too excited about reading Cinderella. 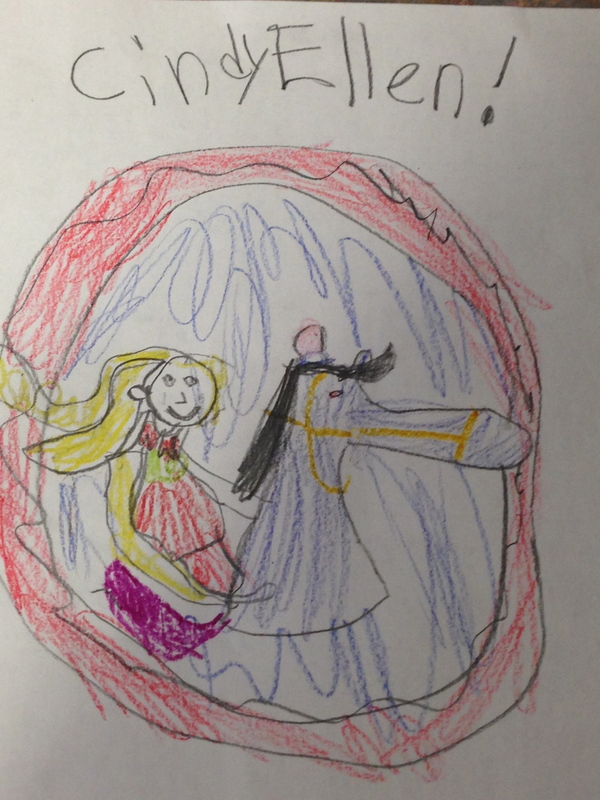 The students loved the story; they were laughing along with the crazy fairy godmother. Even though it was a long story, the students were good listeners because they were able to identify all the similarities and differences when we completed our chart together. After they finished, they drew a picture of their favorite part or character. I think it’s very important to teach students about other cultures, and stories are a great way to do so. Even though these stories had differences, they relayed the same message and theme. And this unit gives students an opportunity to share about their own cultures and traditions, so we can learn from each other and build a stronger classroom community. 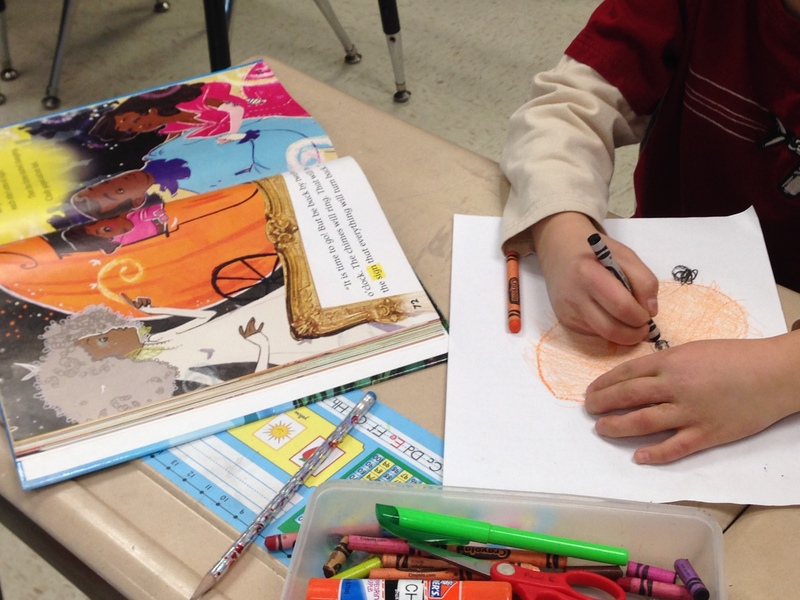 A multicultural unit about Cinderella could be extended and applied to all grade levels. Older students could read harder texts and even research about other cultures. 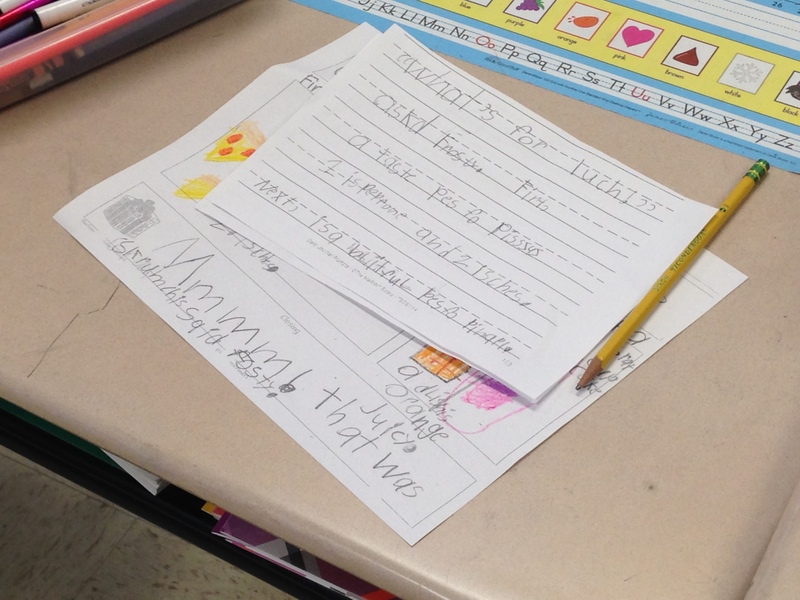 In addition to reading the stories, students could write an invitation to the ball or a friendly letter to Cinderella or her fairy godmother. 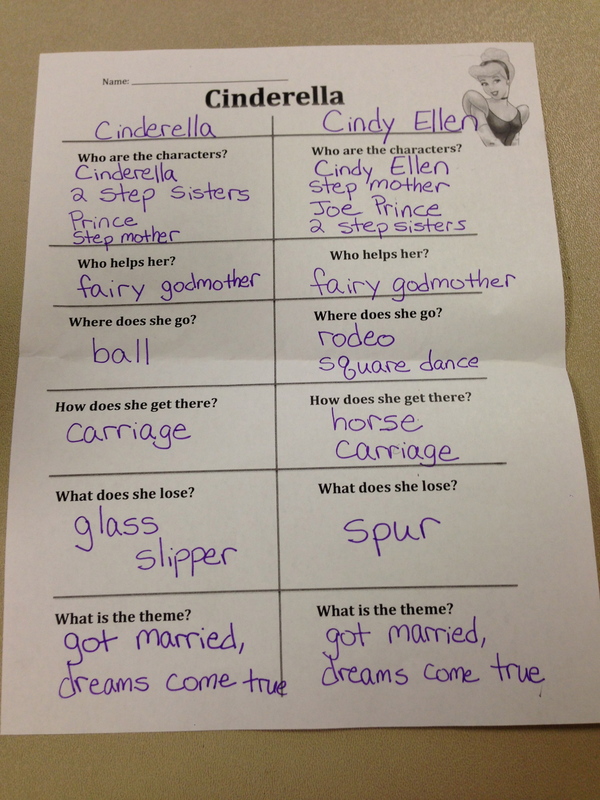 Students could even write their own version of Cinderella-the possibilities are endless! I hope to continue teaching this unit to all my students in the future! Even though it is March, the snow and cold make it feel like it’s still winter. 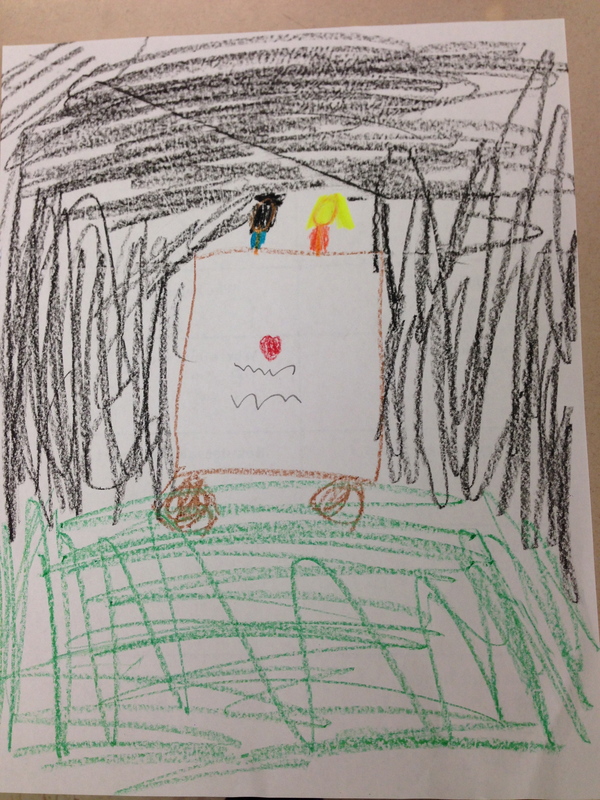 We took a break from our normal routine between reading units to complete a fun, creative writing craft. Besides being a break, students were able to practice and apply the writing process from brainstorming to creating a final product. 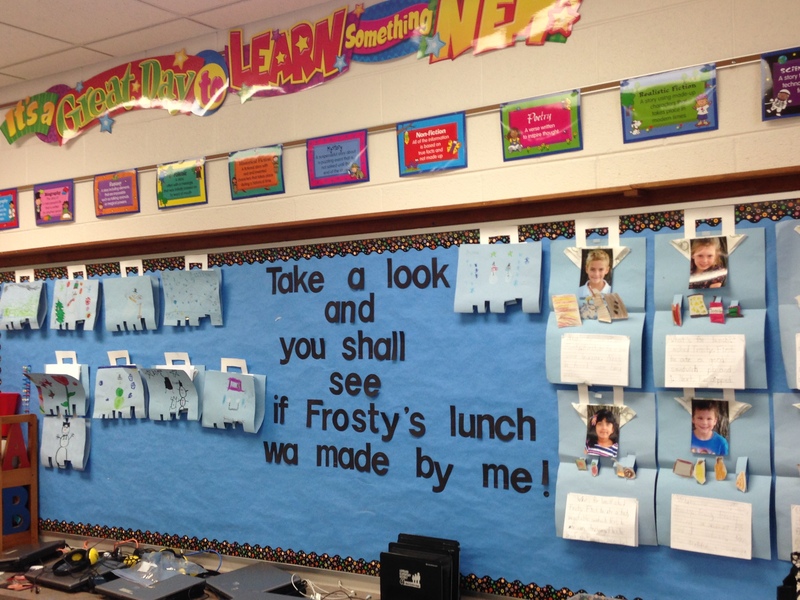 The project we created was titled “What’s in Frosty’s lunchbox?”. 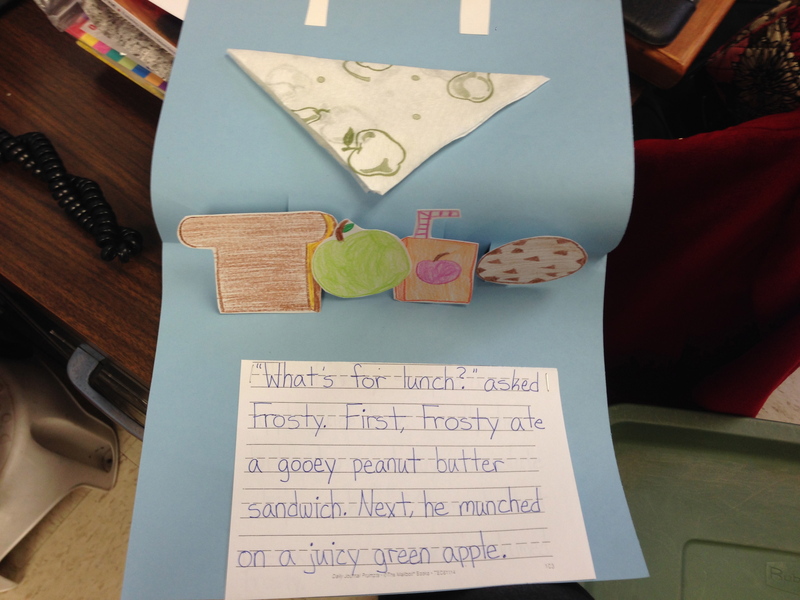 Students got to write, design, and create what he ate for lunch. They were given the topic and concluding sentences. 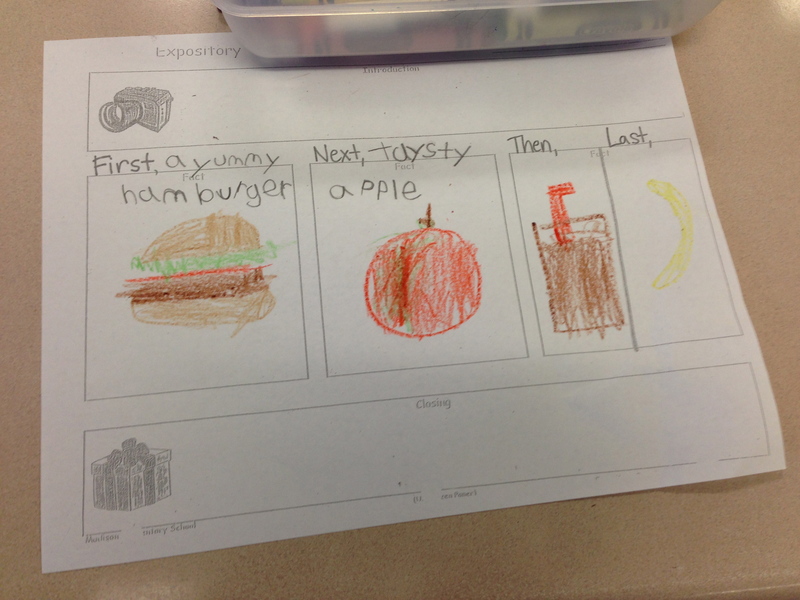 First, students completed a brainstorming sheet with food items-a sandwich, fruit, drink, and dessert. 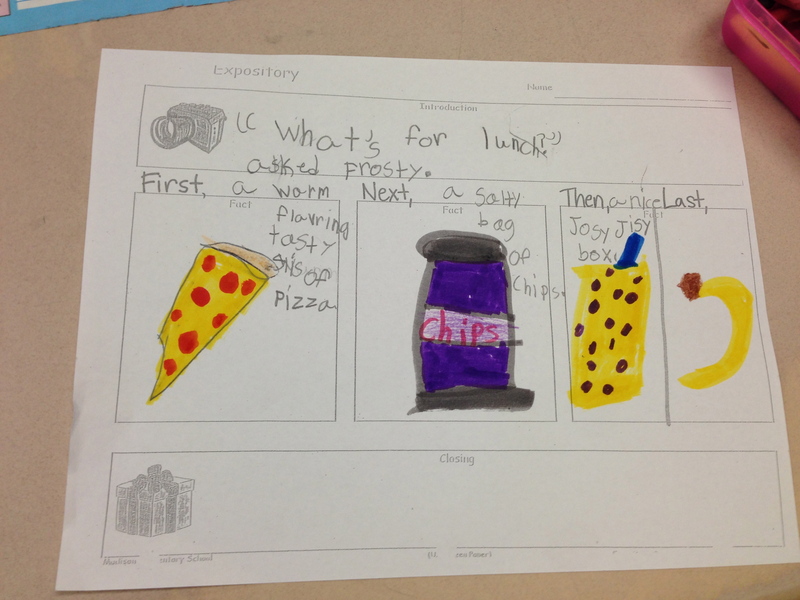 They also needed to use a descriptive word with each item and draw a picture. Then, they turned their brainstorms into a written paragraph. These paragraphs were edited to check sentence structure and help with spelling. Then, they wrote their final version in their best handwriting. 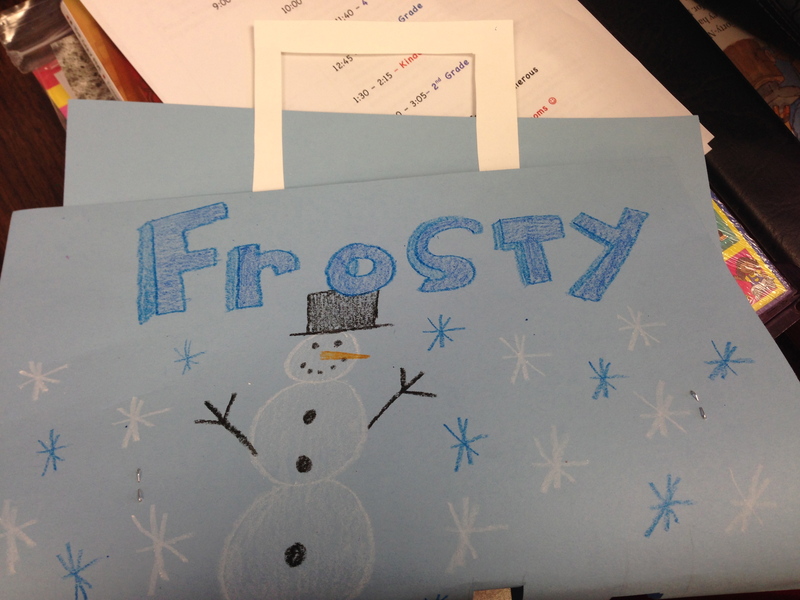 Students decorated the lunchbox and drew each piece of Frosty’s lunch before cutting it out, so we could make them pop up. This project took 3 days to complete because of all the steps, but they turned out super cute. 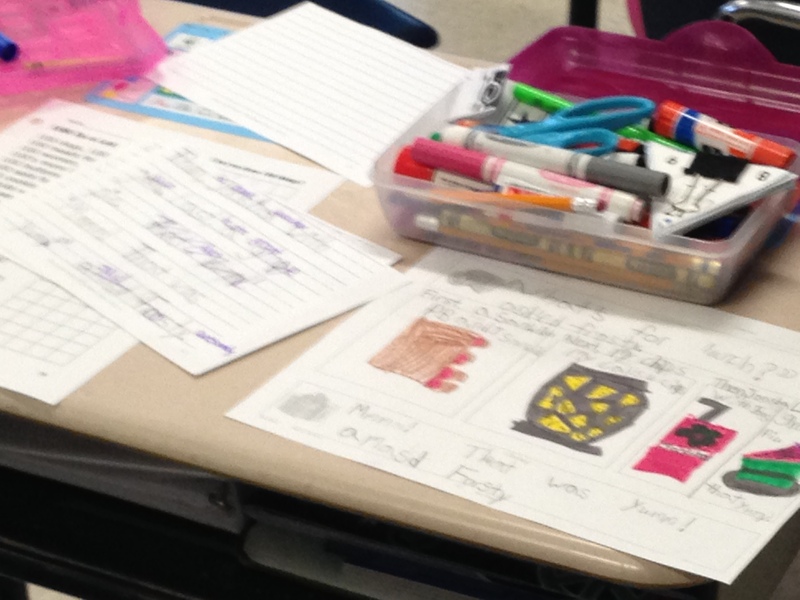 It is important for students to practice the writing process and create an authentic product. This project could definitely be extended for other characters besides Frosty. What about Father’s Day-what’s in my dad’s lunch?, Nutrition month-what’s in my healthy lunch?, even a literary character’s lunch-the possibilities are endless!! As part of the reading curriculum, there are comprehension tests at the end of each story and a benchmark test at the end of each unit. 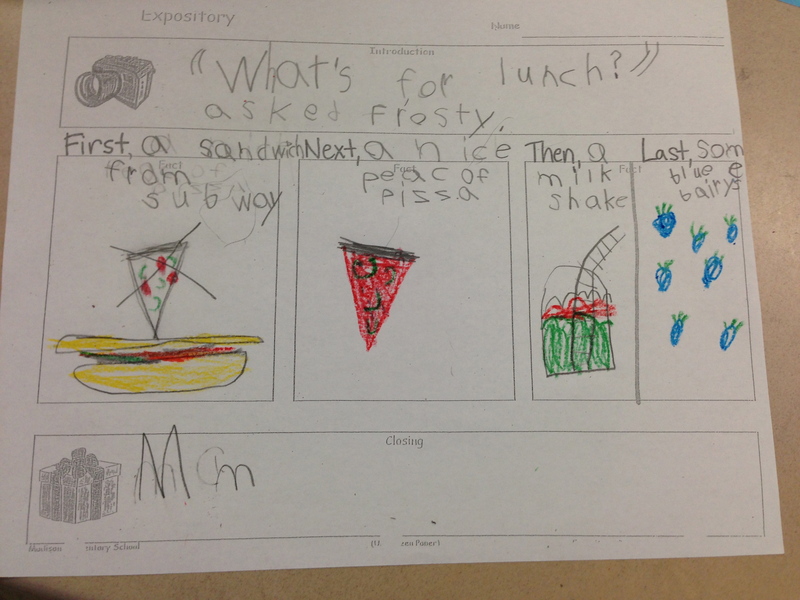 These tests ask questions about comprehension, phonics, high frequency words, and vocabulary. At the beginning of the school year, we completed these tests as a whole class to introduce the students to the tests. This was really their first experience taking a test, coming from Kindergarten, so we modeled reading each story and question, going back into the story if you don’t know an answer, and marking an answer. Recently, we have started taking these same tests on the computer. Students work independently, and we encourage and remind them to take their time; fortunately, the students can listen to the questions and answer choices. After a few times, the students are completing these tests independently. They try their best and overall do a great job. I help monitor and also sit by certain students to provide encouragement and remind them to read before just clicking. While I am amazed at the students’ progress and demonstration of their understanding, I also wonder if this is the best form of assessment. We view these as practice and a check of their understanding, rather than counting them for a grade; if students don’t score well, we will go over those specific questions. The teachers also view these as practice for MAP testing, and eventually PARCC, to give the students practice taking a test on the computer. I know these tests are “easy” for teachers and the computer grades it for you; and there’s always the “time excuse”-there’s no time to do anything fun with everything needed to fit into a day. I’m just observing, thinking, and evaluating…what are your thoughts? What other forms of assessment have you used for reading comprehension? Are they more constructive and meaningful?